Delilah 2017 Fleece - Staple Length, fineness & crimp! At 13 yrs old his 2013 histogram is STILL <19 micron! And that fineness is incredibly uniform, with a comfort factor of close to 100%. 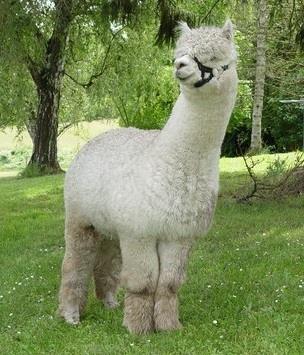 The Elite Maximus is one of those few animals who possess instant name recognition in the alpaca world. His reputation as a herdsire, and before that, in the show ring, is second to none. 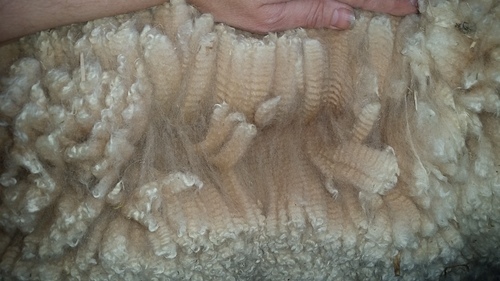 His many offspring have carried his low micron count and incredibly dense buttery fleece to victory in the showring. The Elite Maximus started his illustrious show career when he was only 8 months old, winning Res. COLOR CHAMPION at the 2002 Columbia Alpaca Breeders Association show. He then went on to win the JUDGE’S CHOICE Award at the Canadian International Fleece Show and the 2006 AWE fleece show. The Local, Regional, National and International awards and ribbons started stacking up from there! The Elite Maximus transitioned from the show ring to herdsire, that those awards were just the beginning of an amazing, award-winning dynasty. 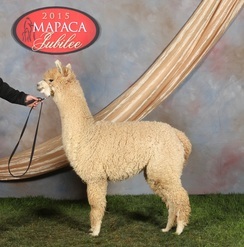 Inca Trails Autumn Delaney was sired by Evander, a multiple Champion producer. 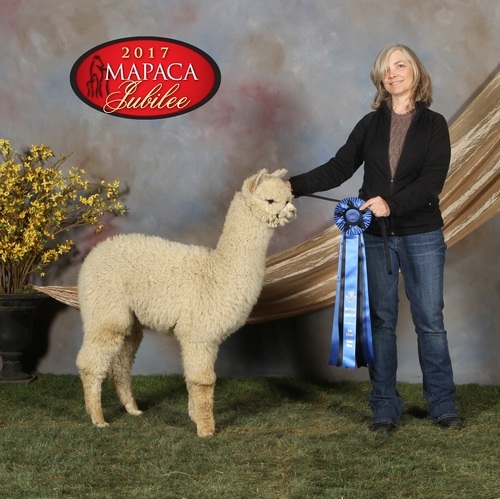 Delaney won a number of ribbons during her show career in 2007, including 1st place in the North American Alpaca Show, OABA AlpacaFest, and 2nd in the MAPACA Eastern States Jubilee. Delaney has passed on her bright fleece and gentle personality to Delilah. 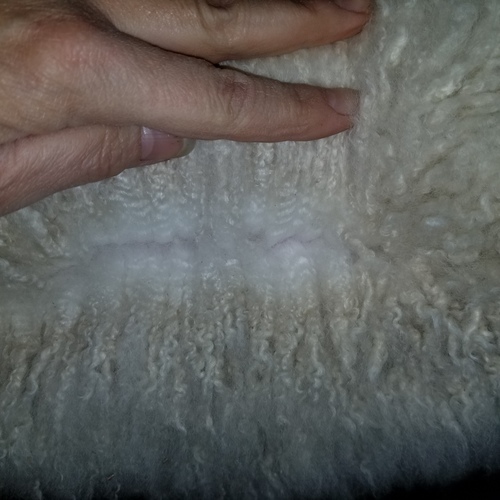 5th shearing: Grade 1 Ultra Fine Royal Baby fleece with a comfort factor close to 100%! And this beautiful female's given us two offspring, -- both are banner winners in the show ring. WP Elite Delilah will stay in our foundation herd...but there's always a price, right? She's one of the best out there, and she's maintaining incredible fleece stats with a Spin Fineness of 17.7 microns at 5 years old as a breeding female! Her 2017 cria, Venus, is a real showstopper that took two Reserve Championships at her first show. 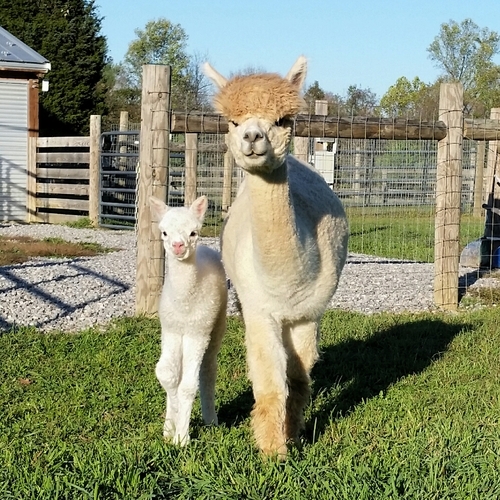 Her 2016 male cria, Prometheus, also won a Color Championship, and is prime herdsire material. We have no doubt Delilah can produce the best of the best of the best based on her first two cria. Delilah has been bred to Man in the Moon's Peruvian Ganymede. We can't wait to see what she'll produce next! If you are looking for the very best, Delilah's offspring are absolutely what you should consider...at least one of them, anyway! If you want Delilah, and money is no object, let's talk...but it'll be a lot---I'm impressed by her fiber every time I look at her! Please also look at MMFA Elite Maxine if you like what you see here. Maxine is likely to duplicate some of these same qualities, as she is a half sister to WP Elite Delilah that's looking very promising, and she has amazing fleece stats to back it up. And, then of course, there's Delilah's 2017 offspring Venus Rising. But, guess what? Not sure I want to part with her either! Delilah is out of the renowned stud, The Elite Maximus. At 13 years old his 2014 histogram was less than 19 microns! And that fineness was incredibly uniform, with a comfort factor of close to 100%. Wow!! 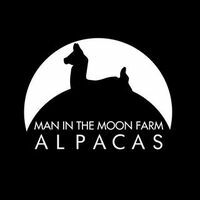 The Elite Maximus was one of those few animals to possess instant name recognition in the alpaca world. His reputation as a herdsire, and before that, in the show ring, was second to none. Sadly, The Elite Maximus suddenly passed away in the Fall of 2016. Delilah is one of his elite progeny.